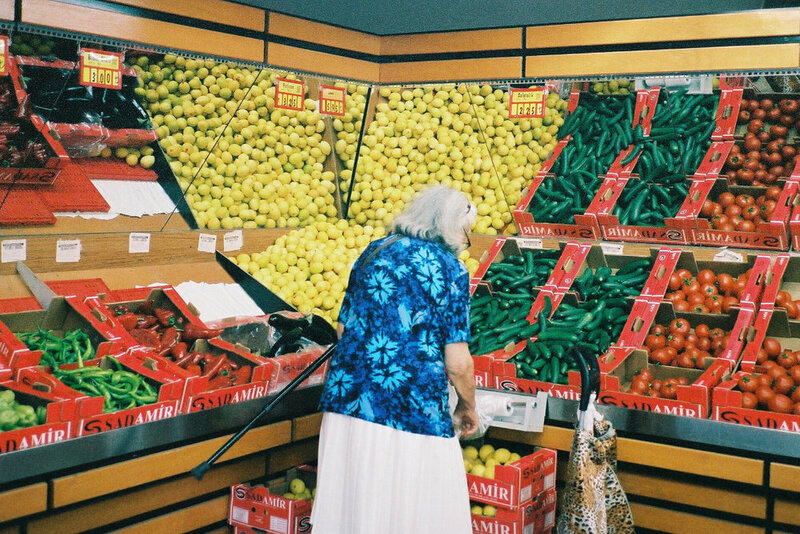 Nick is a photographer (@prideaux) from Byron Bay, Australia - who's now based in Bangkok. How long have you been living in Bangkok? And how would you compare it to shooting in Australia? I’ve been in Bangkok now for about two years after moving from Tokyo where I lived for five years. I’d love to go to Iran. I’m a big fan of Abbas Kiarostami films and I’d adore seeing the country where he made his movies. I like middle eastern food so I’d like to experience something new! I went back to Australia recently for Christmas and the light was the first thing I noticed, it’s so harsh and direct. I think here in Bangkok the light tends to be more filtered and hazy, so it’s fantastic for shooting. The late afternoon and twilight here in Bangkok are my favorite time to shoot, the city gets bathed in a really dreamy golden light which I love. Do you mostly shoot film? and why? Nowadays I’m solely shooting film after I switched from digital about three years ago. A lot of the photographers I admire were using it, and I felt it was a good way to explore my own style and to experiment. I shoot film because it conveys how I see the world around me, something is captured on it that I can never really catch when I shoot digitally. I like to shoot mindfully, within the moment and not worry about how it looks on the back of the screen. I also think film has a wonderful romance to it all, the process. Did you get into photography using film or did you start shooting with something different? I studied darkroom photography in High School so my first camera was my father's Nikon F2. Now, I have a small selection of compact point and shoots that I use dependent on my mood. Lately it’s been a Contax T2 and a Konica Big Mini. I shot 80% of my work last year on an Olympus MJU II but it sadly died on a beach back when I was on holidays back home. I shoot on Kodak Portra as much as I can, but if not it’s usually Fuji Superia. Is it a challenge for you to pick and choose what you’re photographing? Or do you approach it like shooting with a phone, where you're just taking a picture of everything and anything that looks interesting? It’s always a challenge, at the moment I’m trying to expand what my subjects/themes are so I’m really putting an effort into branching out and seeing things a little differently. I don’t ever really have any preconceived notions about what I shoot - but there are definitely colors and particular frames that I tend to pick over another. If you had to choose one specific type of photography to shoot every day (portraits, landscape, architecture, sports), which would you choose? Street photography. I love wandering through a city and shooting what’s around me (although I wish I did more of it). I’ve lived in two amazing places to do it, Tokyo and Bangkok and it is the best way to see and really get inside a city. What’s your favorite food to eat or drink in Bangkok? Living here you really are spoiled for choice with regards to the selection of food, but I love the street food in particular. Thai style fried chicken (Gai Tod) and a Beer Laos is a holy combination. Where’s a city or country you’d like to go shoot and because of its food? I’d love to go to Iran. I’m a big fan of Abbas Kiarostami films and I’d adore seeing the country where he made his movies. I like Middle Eastern food so I’d like to experience something new!